As around 2400 students flooded into Perry Meridian High School 35 days ago, one could barely count the amount of changes that had taken place since they’d left for summer almost 2 months before. One change that went largely unnoticed was the removal of the recycling bins from Perry classrooms. Sometime over the summer, kept vague due to the absence of a definite time frame, the decision was made to remove the recycling bins. The recycling bins had been a part of Perry’s waste disposal system for a very long time. 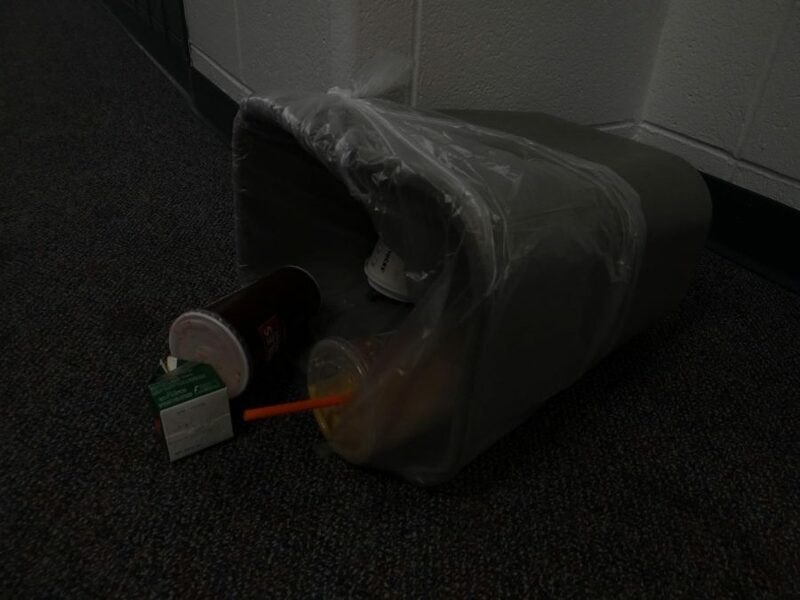 A lot of students have come to fully accept the importance of the recycling bins and recycling itself because of this. “I think that it’s important that we do have recycling bins; we use so much paper that it’s kinda necessary,” says junior Shane Wiskirchen. This change hasn’t been as talked about as some of the other changes the school has seen this year, though; this is largely due to the fact that no official statement was made about the disappearance of the bins. Most students have made their own theories as to why the recycling bins are gone. A good amount of students, like junior Brianna Reid, believe the school is placing its funding elsewhere. This is not the case, however. The recycling bins are being removed due to a combination of events akin to a “double whammy,” says English department chair and Environmental Club sponsor, Jessica Hunter. To clarify, there were two main events, both occurring at around the same time, that caused the recycling bins to be removed. The policy update of the recycling company, Ray’s Recycling, meant that they would no longer dump the green recycling bins into the truck themselves. They will still take the recycled paper out of the dumpster, however. An update to the special education program’s curriculum caused the dropping of the “life skills” part of the program. Within this part was the content-dumping of the recycling bins into the biggerl, green ones. The school still has access to the recycling program, but as of now, they have no will to keep recycling. This is mostly due to the fact that moving all of the recycling bins outside to the dumpster is too much work on its own. Hunter, who doesn’t enjoy the recycling program being gone, is thinking of solutions to this problem. One of these solutions include the use of Environmental Club members to do a job similar to the students of the special education program. “We don’t see it as a burden. We see it as part of a duty to make the world just a little bit better any way we can,” said Hunter.